SHADOW LIFE is a project dear to my heart. It’s a crime novel about two men on the fringes of society — a man wrongly accused of murder and a newly-released ex-con who carries a heavy burden of guilt. It’s also about rich, powerful men who buy and sell what they want, even when what they want is other people. He was known to a select group of people online as AngusHD8. The name amused him on many levels. Angus because it was a spit in the eye to the last man in his family who thought he’d amassed a fortune, a fire and brimstone tyrant who’d made his money exploiting the sinful ways of his fellow man. And HD8 because that was the way he’d made his own fortune. Hard eight. A lucky roll of the dice. Or, in his case, many well-engineered rolls of the dice and a much, much bigger fortune. The computer monitor on his desk in his darkened study was a 19-inch wide-screen. On the lower right corner, an open window displayed a five minute video playing on continual loop. The picture was the grainy quality of most amateur videos transmitted over the web, but this particular video would never be hosted by YouTube. In the tiny window, naked men moved around a luxurious living room. Draped across chairs, on the floor, leaning against walls, the men fucked each other as AngusHD8 watched. Off camera, he knew, would be a fully-clothed man passing out party favors that Angus, as one of the select group who had access to this video and numerous others like it, had bankrolled. The drugs reduced the inhibitions and increased the enjoyment of the naked men on screen, which in turn increased the enjoyment of the men watching and recording the party on hidden cameras. The revelers thought the drugs were free. Everyone always wanted everything for free. Why were they so surprised when it came time to pay up their debts? One man on the screen was clothed, and he wasn’t one of the people in Angus’s employ. Not yet. He stood off to the side, his pretty face carefully blank. He’d come to the party with a man currently the object of attention of several other men, but the clothed man wasn’t participating. Angus had seen him before. He never participated, only watched. Unlike Angus and those in the circle who paid exorbitant amounts for the privilege of enjoying the show, the clothed man’s body language said he wanted to be anyplace but where he was. On his desk, a light on the phone blinked for Angus’s attention. The line was private, the number billed not in Angus’s name or that of his thriving business, but to a long-forgotten employee who didn’t know a small thing like death wouldn’t end his service to Angus. Angus picked up the phone and listened. “I’ll go seven thousand,” he said, eyes never leaving the clothed man. 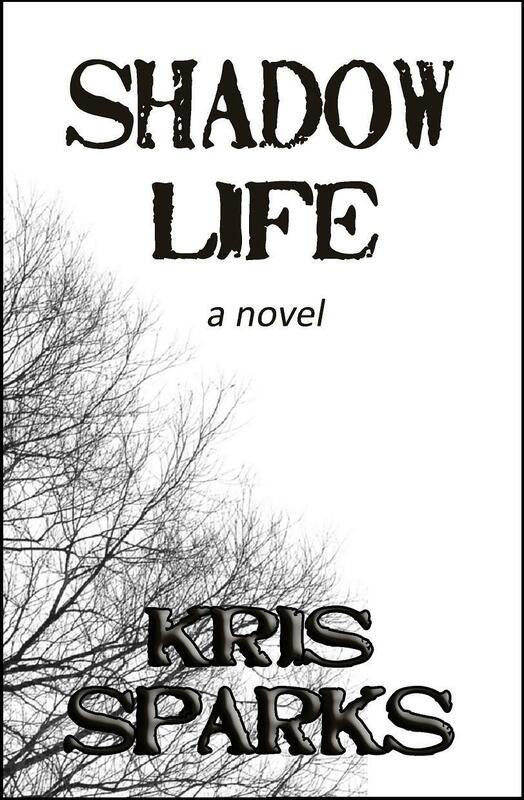 SHADOW LIFE is currently available as an ebook on Amazon and Smashwords, and is coming soon to Barnes & Noble and the iBookstore. The ebook is priced at $4.99, which is one of the reasons I like working with Thunder Valley Press: we both believe ebooks should be reasonably priced. In February SHADOW LIFE will also be released as a trade paperback. As soon as I have a release date, I’ll post here. Now it’s on to the next project — A DEATH IN CUMBERLAND — scheduled for ebook release in January. Let me introduce myself. I’m Kris Sparks, and I write fiction. You probably want to know what I write, right? Suspense. Mystery. Crime fiction. Things that go bang! crash! boom! in the dead of night. Bad guys doing bad things. Good guys doing the best they can. Same for the good and bad girls. Life’s tough, and sometimes just surviving counts as a win. Once I get my bearings around here, I’ll post more about my fiction and where you can find it. In the meantime, grab a Robert B. Parker or Bill Pronzini novel (two of my favorite writers), and soak up a little atmosphere along with Jesse Stone, Spenser, and Nameless. Just remember to lock the deadbolt before you start.